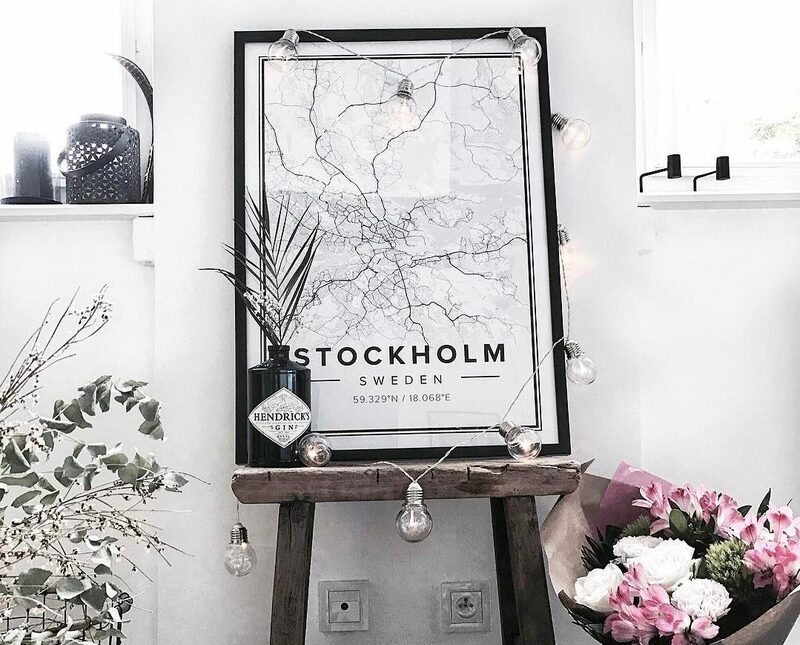 Next stop on the Mapiful Travel Guide is: Stockholm! Not only the self-proclaimed “Capital of Scandinavia” but where Mapiful.com has its head office. Stockholm might be cold, but with plenty of cosy cafés and restaurants there are plenty of ways to pass time and keep warm at the same time. This post will focus on a few carefully selected gems and good-to-have information. Stockholm might not be the biggest capital in Europe but it sure has one of the best transportation systems with trains, buses and boats covering the entire city. Fares are – like most things in the city – a bit on the more expensive side. Ranging from 120 sek (24 hours) to 340 sek (7 days) when choosing the Travelcard. Stockholm is highly walkable, so don’t be afraid to work on your mileage and explore the city on foot! Finding somewhere to stay is usually easy, finding somewhere affordable is a whole other story. 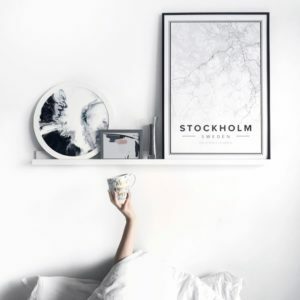 AirBnB’s are due to strict regulations fewer and a bit more expensive, but there are also plenty of affordable hostels and hotels such as the uniquely decorated Bo Hotel approximately 10 minutes from the city center close to Tele2 Arena. Or the slightly more luxurious Nordic Light Hotel located near the city center. As always, the further away from the city the cheaper it gets. Note that the city is well connected, so if you want to save funds dare to be located a bit outside the city. Swedes love to eat healthy, but don’t let that scare you – there’s plenty of alternatives if you want to go all out on a breakfast or why not a brunch. Don’t mind queuing for great food? Then Sthlm Brunch Club and Pom & Flora are your go-to places. Lovely atmosphere, nice staff and amazing brunch menus. For the classical breakfast/brunch lover Kung Carls Bakficka delivers a solid experience in a great venue located in the heart of Stockholm. Stockholm has plenty of affordable lunch options with vegetarian/vegan alternatives available on almost every menu you encounter. If you’re looking for something classy yet affordable Speceriet on Artellerigatan 14 is one restaurant you shouldn’t miss. Being the little brother to renowned Gastrologik, Speceriet is little to no one food wise. If you’re looking for lunch on the go, the Blueberry-cafés offer wraps, soups and smoothies on several locations around town, one being at Östermalmstorg. Stockholm also has the luxury of having smaller food courts in a lot of our supermarkets, offering great food to pick up at fair prices. There’s loads of restaurants and spots for a great dinner in Stockholm, we might not have the best weather but we do have great places to eat. Such as Shibumi (Kungstensgatan 2), serving high end japanese fusion at a slightly more expensive yet affordable pricing. Or the more exclusive Gro (Sankt Eriksgatan 67) serving Nordic cuisine with emphasis on local produce. For more affordable dinners we would recommend the foodcourt at K25 (Kungsgatan), Artisan (Odenplan) and Nytorget 6 (Medborgarplatsen). We’re not only the third biggest consumer of coffee worldwide, we’re also huge fans of communal breaks. So while in Sweden do as the Swedes – visit one of our many cafés and grab a fika! First on our list is Mr.Cake run by award winning pastry chef Roy Fares located at Rådmansgatan, always crowded and always delicious. 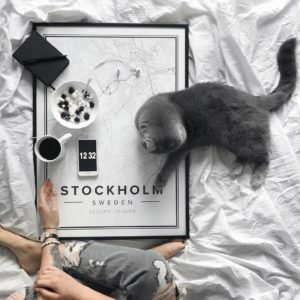 For a classic Stockholmian experience make sure to visit Sture-Katten, an old school bakery located inside an apartment building at Riddargatan with pistaschio cakes that are to die for. Stay tuned for Part 2 where we run through the best sightseeing, nature reserves and what to do in your trip to Stockholm!